Searching for a dependable, used SUVs near Dayton OH? We’ve got some for you, and they’ll come with an added bonus you won’t be able to find elsewhere. We choose all of our vehicles carefully so that we’re able to offer a lifetime warranty on our large selection of SUVs. All of the SUVs at our dealership have been carefully inspected to ensure that they’re top quality. Here at Joseph Airport Toyota, we have a wide variety to offer so that you can save the hassle of having to go all around town to find the right one. An easy car buying experience starts and ends here. Here at Joseph Airport Toyota, we’ve got a huge selection of used SUVs to fit any need. From small SUVs for everyday driving or larger options that can fit the whole family comfortably, you’ll find what you’re looking for here. Since all of our SUVs are inspected before they join our inventory, we’ve made sure that only the best SUVs are available here. No matter what type of SUV you’re looking for, we’ve got the best one to fit your needs here. When you’re buying used SUVs, we want you to feel confident about your big purchase. That’s why we offer our Yes Plan Lifetime Warranty. This extra protection allows you to buy your vehicle and know that it’s covered, as we offer it on all vehicles 2011 or newer, and under 80,000 miles. With this protection, you’ll have many things covered that would otherwise be a costly repair. Save money and worry when you buy with us here at Joseph Airport Toyota. When you buy used SUVs, you’ll be able to save big. Save on the usual new car markups and opt for something used. By doing this, you’ll be able to save thousands, all while still getting a high-quality SUV. Because we also offer our Yes Plan Lifetime Warranty, you can be certain that your next vehicle will be reliable for many years to come. 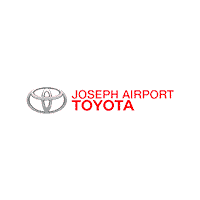 Our huge selection of used SUVs makes Joseph Airport Toyota the perfect place to find your next vehicle. No matter your budget or preferences, you’re sure to find the one you want here. From our friendly sales team to our quality service department, we work hard to give you a top-notch car buying experience. Come and visit us near Dayton OH and see why we beat the competition. Has the cold snap of winter got you down? Are the kids driving you crazy? 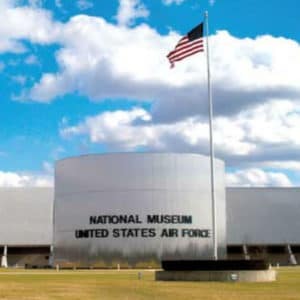 Why not take your used SUV that you find at Joseph Airport Toyota and take them to the National Museum of the US Airforce and wear them out! Plus, what kid doesn’t love to see airplanes and jets up close and personal? Make a day of it in your used SUV and know that we have your back thanks to our free YES Plan. Start your adventure today.